Cycling by nature is repetitive, requiring being in a fixed, and often quite flexed position, for long periods of time. Mobility, strength and stability are therefore crucial to not having to compromise on position and to generating maximum power. 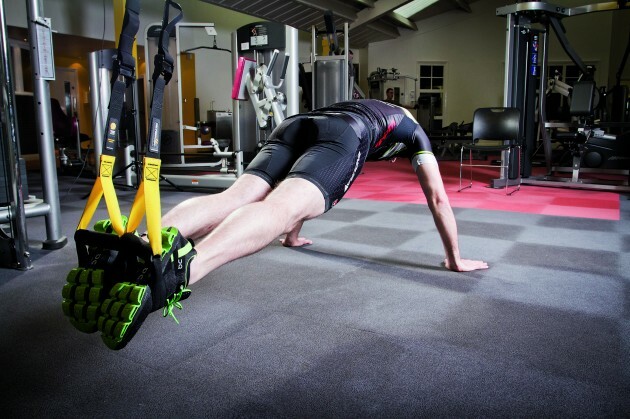 Trunk control and strength through the abdominals and obliques is therefore essential to holding a good posture on the bike, which in turn helps with efficiency – if you’re not stable in your core it doesn’t matter how strong your legs are, you’re going to be rocking around and wasting energy. Strength conditioning programmes are also important. You lose strength quickly when you haven’t ridden for a while – something that tends to happen a lot over the winter – but strength conditioning helps minimise the loss of riding miles. Alongside that, stretching is important for mobility and flexibility, helping recovery and regeneration, a kind of general maintenance really. Having a programme that incorporates these things alongside your normal riding timetable will therefore be beneficial for both performance and injury prevention. For example, look to incorporate two or three strength and conditioning sessions into your week, on the days when you’re not riding. Then look to do 10 minutes of stretching either side of a ride or session, though I don’t advise you do hard stretching after exercise, as you don’t want to inflict more damage on the muscles you’ve just been working. A programme of 12 weeks is optimum, but you’ll see improvements in four to six weeks, or with some exercises even sooner. Some things like muscle lengthening can take longer, but as with everything perseverance will pay off. So what are you waiting for? Give us a call to make an appointment with John or Phil Smith to ensure you’re fighting fit for spring!